Emily Kelly was born in Wicklow in 1995. She is a student at The Irish World Music Academy in the University of Limerick. 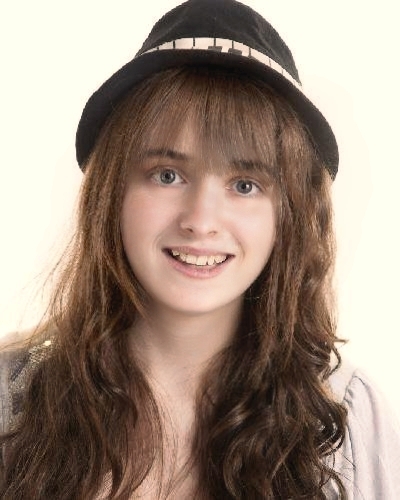 Emily has been a committed musician all her life taking lessons in Singing, Harp and Piano from a very young age. She lives for performance and has taken every opportunity given to her to follow her star. As a young child she sang with her father’s choir at Christmas Eve following in the footsteps of her older sisters. She joined dance classes in Irish dancing, Ballet and Contemporary Dance and loved the stage. In her teens, Emily joined a number of Musical Theatre Groups including Smyth, Back Stage, Star Academy at the Royal Irish Academy of Music, Talented Kids Ireland and Curtain Call Academy. She took leading roles in many musicals including Flapper, The Internal Teen Machine, Alice in Wonderland and Charlie and the Chocolate Factory. More recently she performed the role of Rizzo in Grease and Dorothy in The Wiz. Emily has attended many competitions over the years and has won singing and harp prizes in many Music Festivals around the country. These include New Ross, Arklow and Kilcoole festivals, Wesley and Newpark competitions and the Dublin Feis Ceoil for singing, and the O’Carolan competition in Nobber, Co. Meath and the harp competitions at Keedue in Roscommon. She was also placed at harp competitions in the Dublin Feis Ceoil and at the National Finals of the Fleadh Ceoil. Emily sings with the vocal ensemble Classic Harmony , formerly known as The Kelly Family Vocal Ensemble, and has won the Family Ensemble competition in the Dublin Feis Ceoil on three occasions with them. She has performed with them at concerts and events in various parts of the country and on television and radio. As a harpist and singer she performs in many different styles such as Traditional Irish, Classical, Jazz etc. Emily has played harp and sung at concerts throughout Ireland with groups such as the Clare Memory Orchestra, the Irish World Academy of Music Performance Groups and visiting American Ensembles. Emily has a large harp repertoire including both Traditional Dance pieces and O'Carolan pieces and also Classical and Jazz pieces written for Irish Harp. Her style is subtle and sophisticated and she is in demand for Weddings, Funerals and Private and Corporate Functions. Emily sings and accompanies herself on the harp. She performs the usual repertoire of classical songs but also a selection of suitable traditional and popular songs. She will also learn songs or pieces requested by clients that are appropriate to her instrument.